Netflix’s surprise hit of 2016, the awesome Stranger Things, is packed with tips of the hat towards 80s music, movies, and TV. Its Spielbergian plot along with charming acting made it loved by many. 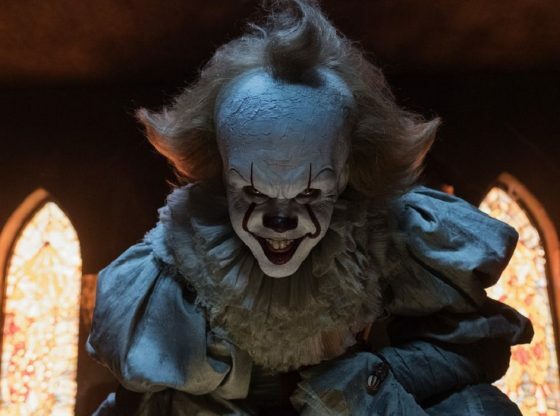 Matt Duffer — who along with brother Ross are the creators of the show – revealed in an interview with Nerdist what the inspirations are behind the small town of Hawkins, as well as “the Upside Down”, Stranger Things’ evil parallel dimension. There’s [John] Carpenter, there’s Silent Hill, there’s Clive Barker, there are some anime references. We’re sort of pulling from everything. But besides all the 80s nostalgia and throwbacks to old movies, there are some creative new ideas in Stranger Things, among those is the monster that has been giving fans sleepless nights. The first season of the show rolls out stranger and stranger things right up until the final climax of the series and we get to see the strangest of things: the Demogorgon, a.k.a. the creature, a.k.a. the monster. 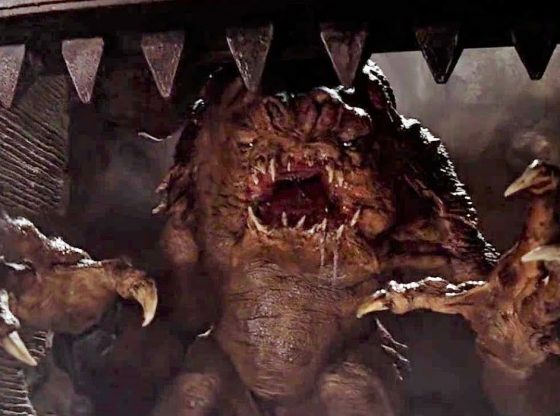 Nicknamed the “Demogorgon” by the show’s young protagonists (after a creature from Dungeons and Dragons), the monster has been praised for its production design, which features a head that peels open into “petals”, revealing sharp teeth underneath. 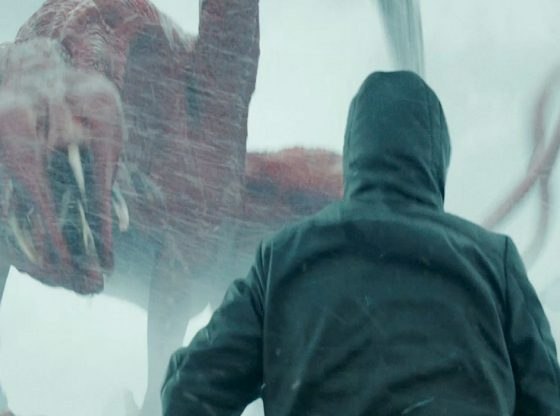 The test footage of the animatronic head of the Demogorgon creature is awesomely terrifying as is shown in this brief behind-the-scenes video from Spectral Motion. 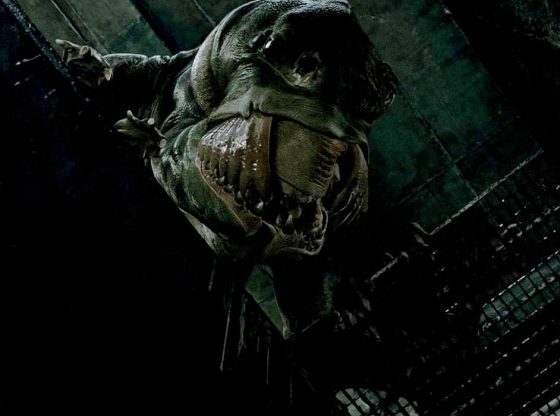 It shows that the showrunners didn’t have to add much to this monster to make it scary. It’s pretty terrifying all by itself. The studio’s subtle use of practical effect — as shown in the photos posted on Spectral Motion’s Facebook page shows how the full-body was created and it was simply masterful. All stages of the Demogorgon life cycle, minus the initial larval form. Demogorgons are predatory creatures originating from the Upside Down, an alternate dimension. Demogorgons obey the malicious Mind Flayer, and make up part of his hive mind. Under his influence, Demogorgons are murderous, violent and have limited intelligence. The life cycle of a Demogorgon has six stages and seems to function similarly to that of several amphibian species. It presumably starts with the deposition and incubation of larvae in a host. Once the larvae emerge from the host’s body, they undergo a period of rapid metamorphosis, molting through each phase of their development until emerging as an adult. 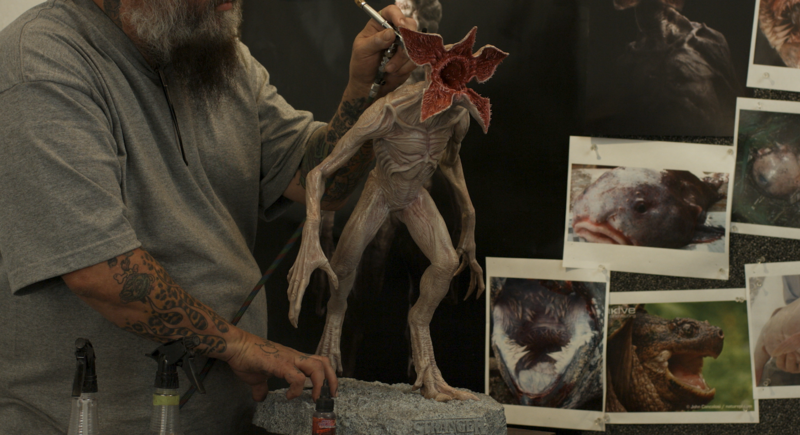 As previously mentioned, also working on the Demogorgon design was concept artist Aaron Sims and the VFX studio Aaron Sims Creative (ASC). 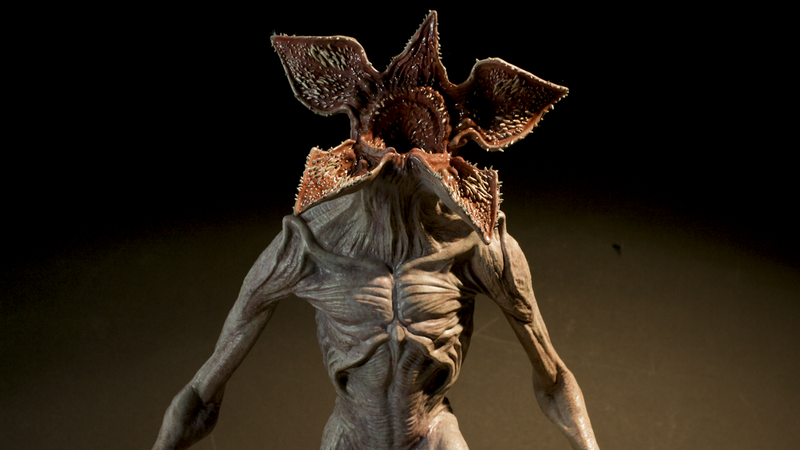 The studio was approached by the series creators to design and then create a physical model of the Demogorgon that would later be put into practice by Spectral Motion. Aaron Sims, co-founder of the studio revealed in a blog post of the 3D printing technology developer and manufacturer Formlabs’. ASC used traditional painting and finishing techniques are used on the final maquette before presenting to directors. Aaron Sims started sketched the head as a flowering face covered in sharp teeth and then moved on to creating digital 3D assets before eventually creating the physical model with 3D printing, as seen in the below clip, detailing the creative process.